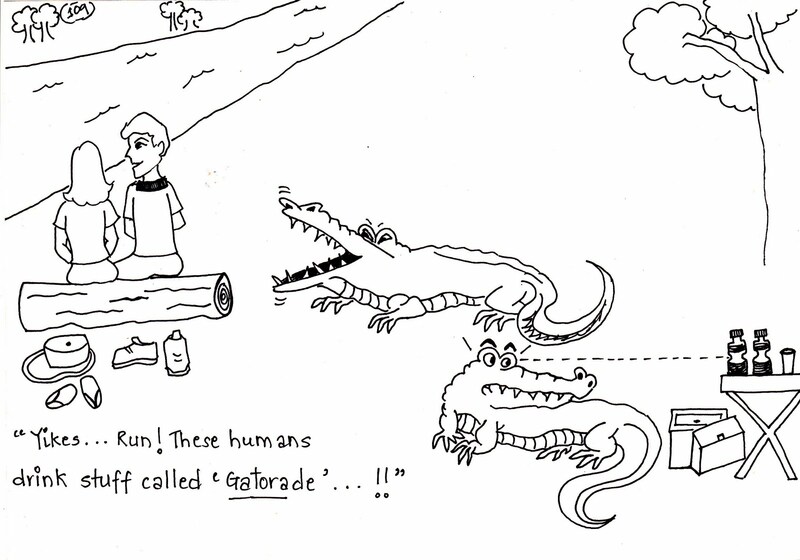 Yikes...Run! 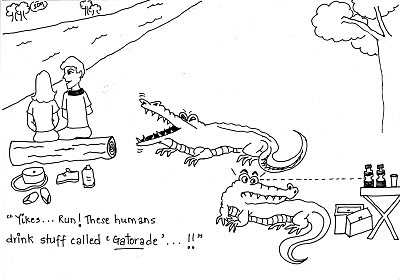 These humans drink stuff called 'Gatorade'..! !